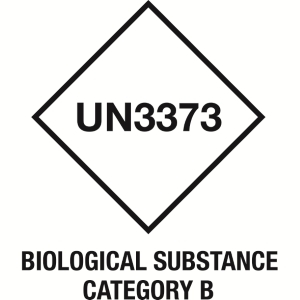 Diagnostic specimens, assigned to UN 3373, are human or animal materials that are being transported only for the purpose of diagnosis or investigation. 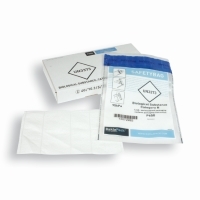 Such materials include excreta, blood and it's components, as well as other tissues and fluids. 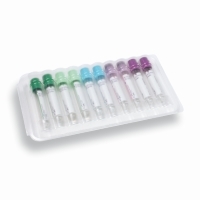 Diagnostic specimens do not include live infected animals. 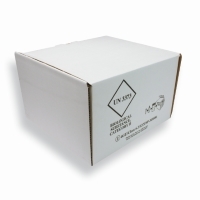 Packaging requirements are at packing instruction P650. 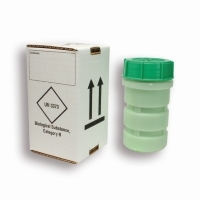 will prevent any leakage and which is marked with the words “Exempt human specimen” or “Exempt animal specimen”, as appropriate. 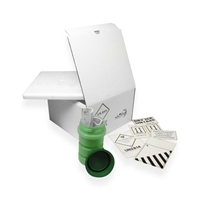 (c) Medical devices or equipment contaminated with or containing other dangerous goods that meet the definition of another hazard class, medical devices or equipment potentially contaminated with or containing infectious substances which are being transported for disinfection, cleaning, sterilization, repair, or equipment evaluation are not subject to the provisions of these Regulations if packed in packagings designed and constructed in such a way that, under normal conditions of transport, they cannot break, be punctured or leak their contents. 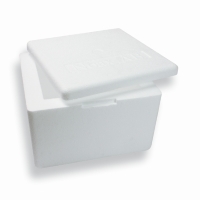 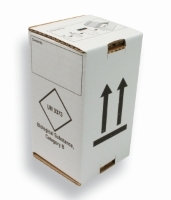 Packagings shall be designed to meet the construction requirements.